As we get closer to Christmas there are more and more parties and festivities to attend. If you are looking for that perfect dress to wear be sure to check out Dress911. It was so pretty and SO comfortable to wear- I loved it. They also sent me the lovely "Braided new Start" necklace that I am wearing in the picture. I got a ton of compliments on my outfit that night! I will definitely be wearing the dress again this holiday season. London, Ontario can visit our new cozy warehouse store location to try on dresses. Shop online with confidence as we offer free return and exchange shipping. week to our collection, so be sure to come back often to see the latest styles. 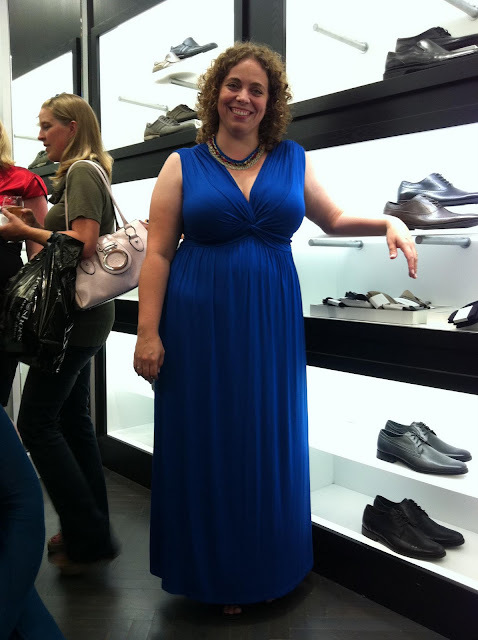 Thanks again Dress911.com for helping me look my best at ShesConnected!